Hi Everyone, as the season comes to a close, several of our teams are getting an opportunity to participate in post-season tournaments. Congratulations to our third grade girls team coached by Brad Slininger and Eric Lawrence. 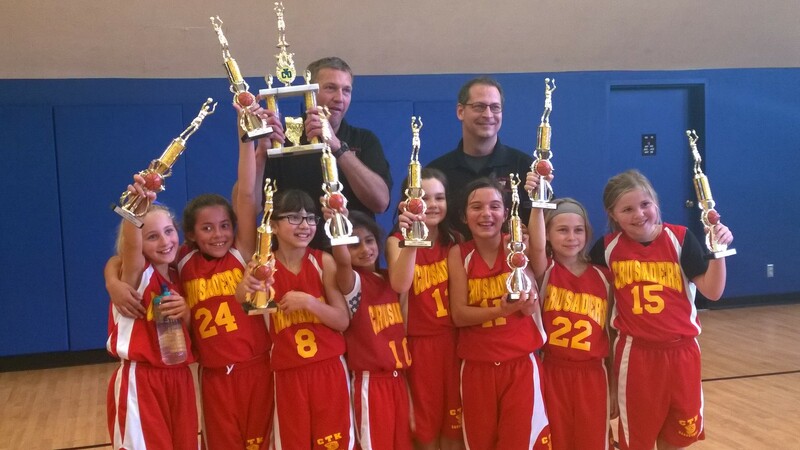 This group of Lady Crusaders are the 2015 champion in the West Diablo League’s post-season tournament for third grade. Congrats ladies! You earned it.